﻿A new study by researchers at the Walter and Eliza Hall Institute in Melbourne, Australia, has shown that mature blood cells can communicate with, and influence the behaviour of, their stem cell 'parents'. The discovery of a blood cell 'feedback loop' in the body opens up new avenues of research into diseases caused by stem cell disorders, and the potential for new disease treatments. Dr Carolyn de Graaf and Professor Doug Hilton from the Molecular Medicine division and Professor Warren Alexander from the Cancer and Haematology division led the research. Professor Hilton said the findings, published today in the Proceedings of the National Academy of Sciences, revealed a relationship between the blood cells that wasn't known to exist until now. "We know that blood stem cells give rise to all the mature blood cells, but the standard assumption was that external factors control blood cell production and the two populations exist in isolation," Professor Hilton said. "This study shows that the mature cells actually communicate back to the stem cells, changing their gene expression and influencing their behaviour." The researchers found that blood cell disorders can cause disturbances in the feedback loop, with profound effects on the blood stem cells. The discovery was made while studying the effect of the loss of Myb, a transcription factor that represses platelet production, in animal models. Dr de Graaf said the loss of the Myb gene meant the animals had very high numbers of platelets in their blood, which caused changes in the signalling pathways that control stem cell maintenance. "The stem cells, rather than being maintained in a 'resting state' until needed, were being told to continually cycle and produce mature blood cells," Dr de Graaf said. "The stem cells were eventually exhausted and blood disorders developed because there were not enough stem cells to produce new red and white blood cells." The team used new generation genomic technologies to identify gene signatures in the blood stem cells that were caused by the defective signalling, these gene signatures could be used in the future to diagnose and help treat disease. "If we can understand the genes important for stem cell maintenance and blood cell production, then we can start to look at ways of improving transplantation techniques and therapies for blood disorders," Dr de Graaf said. Professor Hilton said that patients with stem cell failures could also potentially benefit. "What we would like to do is to determine whether some of these stem cell failures are due to miscommunication between mature blood cells and stem cells, with the possibility of finding new ways to treat these disorders down the track," he said. Research work carried out at the Hebrew University of Jerusalem arouses a cautionary warning in the growing field of the development of stem cells as a means for future treatment of patients through replacement of diseased or damaged tissues by using the patient's own stem cells. The research indicates a possible danger of cancerous tissue development in the use of such cells. ﻿Embryonic stem cells, which are undifferentiated cells, have the potential to develop into all cell types of the adult body, and thousands of researchers all over the world are working to develop the techniques which will make possible their eventual application. Research in the field has been carried out initially using embryonic stem cells taken from human embryos. However, a breakthrough occurred when, a number of years ago, Japanese scientists succeeded in creating embryonic-like stem cells from mature human cells through an induced "reprogramming" process. This made it possible to obtain stem cells from a patient which can be used in his or her own treatment, thus avoiding the possibility of cell rejection. These cells are called induced pluripotent stem (iPS) cells. In order for stem cells to be used in the clinic, however, they must be raised in cultures for an extended period. During this period, it has been observed that embryonic stems cells underwent chromosomal changes, which included changes that characterize cancerous tumour growth. 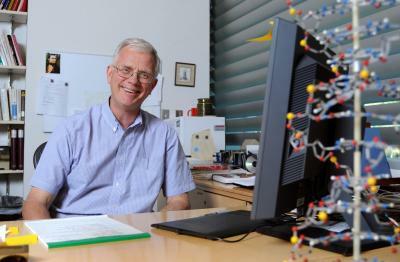 Research that has been carried out in the laboratory headed by Nissim Benvenisty, the Herbert Cohn Professor of Cancer Research at the Silberman Institute of Life Sciences at the Hebrew University of Jerusalem, has now shown that the iPS cells also undergo abnormal chromosomal changes in culture. Prof. Benvenisty, together with his post-doctoral fellow Yoav Mayshar and his doctoral student Uri Ben-David, developed a new analytical method for determining the genetic structure of the chromosomes in the iPS cells through determining the cellular patterns of gene expression. Each cell generally bears two copies of each chromosome in the genome. The Hebrew University researchers discovered that, in time, three copies of chromosomes (trisomy) began to appear in the culture, and that the cells with the extra chromosome were able to rapidly overpower the other, normal cells in the culture. Such trisomies are present in abnormal tissue development, including cancerous growths. The researchers examined over 100 cell lines, which were published by 18 different laboratories around the world, in addition to the iPS cultures raised in their own laboratory, and in this way were able to solidly verify a great number of chromosomal changes in cell lines that until now were considered normal. In an article published in Cell Stem Cell journal, the Hebrew University researchers have reported their discovery. They noted that the chromosomal changes were not incidental, but rather appeared systematically on chromosome 12 and involved up-regulation of specific genes, which reside on that chromosome. This discovery is liable to hinder progress on the development of the use of human iPS cells in future therapy because of the tumourigenic danger involved. "Our findings show that human iPS cells are not stable in culture, as was previously thought, and require reassessment of the chromosomal structure of these cells," said Prof. Benvenisty. "The chromosomal changes in these iPS cells require everyone to exercise great care in continuing to work with them, since these changes apparently will influence the differentiation potential and the tumourigenic risk of these cells." "The method we have developed for identifying chromosomal changes through gene expression is likely to serve also in other work involving analysis of different kinds of cells, including cancer cells. It is relatively simple to use and enables one to observe the changes without having to directly analyze the DNA of the cells." The discovery is patented by Yissum, the Technology Transfer Company of the Hebrew University of Jerusalem, which is currently searching for commercial partners for further research and development. Researchers at Harvard Medical School and the Harvard School of Dental Medicine have found that by mimicking a rare genetic disorder in a dish, they can rewind the internal clock of a mature cell and drive it back into an adult stem-cell stage. 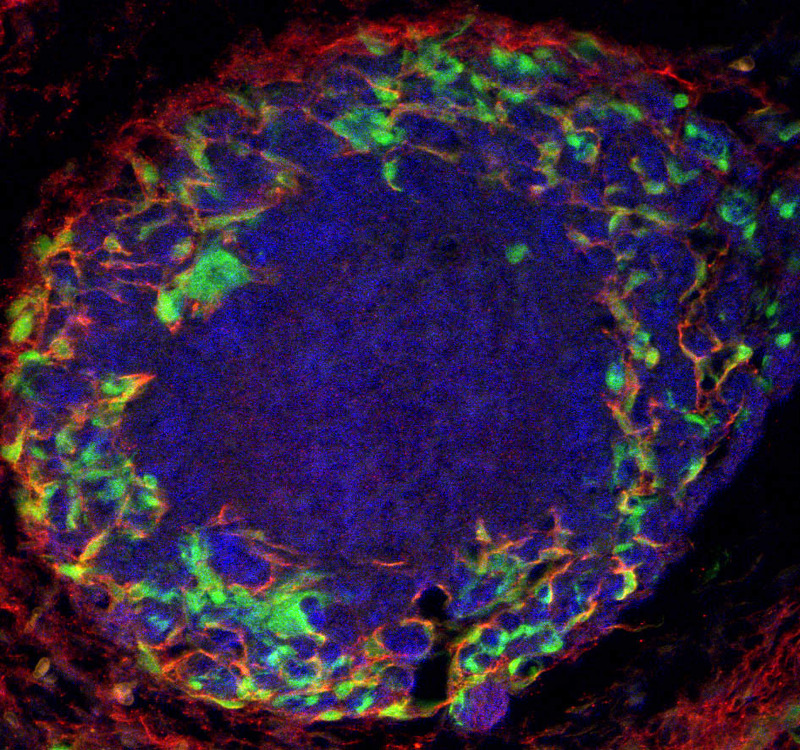 This new "stem cell" can then branch out into a variety of differentiated cell types, both in culture and in animal models. "This certainly has implications for personalized medicine, especially in the area of tissue engineering," says Bjorn Olsen, the Hersey Professor of Cell Biology at Harvard Medical School and Dean of Research at the Harvard School of Dental Medicine. These findings appear November 21, online in Nature Medicine. Fibrodysplasia Ossificans Progressiva (FOP), which affect fewer than 1,000 people worldwide, is a horrific genetic disease in which acute inflammation causes soft tissue to morph into cartilage and bone. Over the course of a few decades, patients gradually become thoroughly ossified, as though parts of their body have turned to stone. There is no cure or treatment. Damian Medici, an instructor of medicine at Harvard Medical School and Beth Israel Deaconess Medical Center, found that, unlike normal skeletal tissue, the pathological cartilage and bone cells from these patients contained biomarkers specific for endothelial cells — cells that line the interior of blood vessels. This led him to question whether or not the cartilage and bone growing in soft tissues of FOP patients had an endothelial origin. What's more, through further experiments the researchers found that instead of using the mutated gene to induce the transformation, they could incubate endothelial cells with either one of two specific proteins (growth factors TGF-beta2 and BMP4) whose cellular interactions mimicked the effects of the mutated gene, providing a more efficient way to reprogram the cells. "It's important to clarify that these new cells are not exactly the same as mesenchymal stem cells from bone marrow," says Medici. "There are some important differences. However, they appear to have all the potential and plasticity of mesenchymal stem cells." "The power of this system is that we are simply repeating and honing a process that occurs in nature," says Olsen. "In that sense, it's less artificial than other current methods for reprogramming cells." "While we want to use this knowledge to stop the renegade bone formation of FOP, these new findings provide the first glimpse of how to recruit and harness the process to build extra bone for those who desperately need it." Medici and Olsen echo this, stating that the most direct application for these findings is the field of tissue engineering and personalized medicine. It is conceivable that transplant patients may one day have some of their own endothelial cells extracted, reprogrammed, and then grown into the desired tissue type for implantation. Host rejection would not be an issue. Scientists have discovered the origin of a unique type of cell known for its ability to support regeneration in the central nervous system. Their findings, published this week in the journal Proceedings of the National Academy of Sciences USA (PNAS), raise the possibility of obtaining a more reliable source of these cells for use in cell transplantation therapy for spinal cord injuries. Olfactory ensheathing cells (OECs), as the name suggests, ensheath and protect the nerve fibres in the olfactory nerve, which transmit olfactory (smell) information to the brain from receptor cells sitting in the lining of the nose. Excitingly, OECs can promote nerve repair when transplanted into the damaged spinal cord. They can also be grown in dishes from pieces of nasal lining but, unfortunately, in such small quantities that this may not be a viable option for use in treatments. "Unfortunately, there aren't very many OECs in the nasal lining, and this tissue also contains other peripheral nerve fibres, ensheathed by cells that look very similar to OECs but which are less effective at promoting spinal cord repair. As a result, it has thus far proven difficult to purify sufficiently large numbers of OECs from the nasal lining for effective use in cell transplantation therapy." For the last 25 years, OECs have been thought to be formed by the nasal lining itself. The new research, however, reveals a different origin for OECs that may enable scientists in the future to produce them in large quantities from adult stem cells. The researchers, funded by the Wellcome Trust and the Isaac Newton Trust, have discovered that, like all other cells ensheathing peripheral nerve fibres, OECs are actually derived from a group of embryonic stem cells called "neural crest cells". Neural crest stem cells persist in adult skin and hair follicles, and other researchers have already shown that it is possible to isolate these stem cells and grow them in the lab. "The next step is to work out how to turn these stem cells into OECs. To do this, we need to investigate how this process happens normally in the developing embryo," Dr Baker said. ﻿﻿ "It is important to note that it will take many years for our research to have any impact on therapy for people with damaged spinal cords. However, we are hopeful that our discovery provides a fresh starting point for new research into ways of purifying large numbers of these cells for use in treatments," Dr Baker continued. In order to determine the origin of OECs, the scientists tagged embryonic neural crest cells with 'green fluorescent protein' (GFP), so that only neural crest cells and their descendants glowed green under ultraviolet light. They did this in chicken embryos by transplanting GFP-labelled neural crest cells into unlabelled host embryos; they also looked at mouse embryos in which, through a genetic trick, the only cells that expressed GFP were neural crest cells. They were then able to follow what happened to neural crest cells and their descendants as the olfactory nerve developed. By analysing thin sections of these embryos under the microscope, they were able to see that lots of green neural crest-derived cells were associated with the developing olfactory nerve fibres. These green cells expressed molecular markers characteristic of OECs, and crucially, they ensheathed bundles of the olfactory nerve fibres, i.e., they were indeed olfactory ensheathing cells. Pharmaceutical company bioethics? Public health bioethics? Regenerative medicine bioethics? To celebrate 40 years of pioneering bioethics publication, the Hastings Center Report, the world's first bioethics journal, looked to the future, asking young scholars to write about what the next generation of bioethicists should take up. Out of 195 compelling submissions, four of the best essays were selected for publication in the November-December issue. Three of the essays envision bioethics forging into new areas, such as the ethical obligations of pharmaceutical industry, questions around the emerging field of regenerative medicine, and public health. Another proposes broadening the approach to dying, a foundational issue of bioethics. An undergraduate, a graduate student, an early career professor who is also a practicing physician, and a Belgian researcher are the authors. A second set of essays, focusing on bioethics methodology, will be published in 2011. "Picking the essays we wanted to publish turned out to be surprisingly difficult," said Gregory E. Kaebnick, editor of the Report. "We not only wanted good essays; we also wanted to represent the range of topics that people had written about and the range of people writing them up. But it's a good problem to have, of course, and it gives us great confidence about the future of bioethics." "Establishing a 'Duty of Care' for Pharmaceutical Companies" calls upon bioethics to focus on the ethical responsibilities that drug companies have to the people they supply. Just as doctors, nurses, and other clinicians have a duty to give competent care to patients, drug companies should "place the good of the populace over the good of the stockholders," writes Remy Miller, a junior at Transylvania University who plans to pursue degrees in medicine and bioethics. She suggests that companies start by adhering to the bioethics principles of justice, beneficence, and autonomy. "A Role for Moral Vision in Public Health" recommends that bioethics join forces with public health to develop a moral vision to inform policy and practice. While public health interventions were once accomplished through improvements in infrastructure, such as better sanitation, "today's public health goals often require changing individual behaviour, often through state action," writes Daniel B. Rubin, a doctoral student in public health and a law student at the University of Michigan Rubin. "Such interventions raise substantive questions about the extent to which government . . . should intrude on individual bodies to improve the health of the body politic." "The Art of Dying Well" argues that one of the most pressing bioethical concerns is to create a framework for teaching an aging population to prepare for death and support one another through the dying process. Even though bioethics has always debated end-of-life issues, Lydia Dugdale, MD, an assistant professor at Yale School of Medicine, says, "American society remains ill equipped for the experience of dying." Among the reasons are advances in medical technology that have "obscured the distinction between death and life," physicians' difficulty in discussing end-of-life issues with their patients, and the secularization of Western culture, which has marginalized the role of religion in preparing people for death. Bioethics can help, Dugdale says, by working to create "a modern version of the Ars moriendi, or Art of Dying, which expressed the societal and ecclesiastical response in the Middle Ages to the widespread death caused by the plague." "The Challenge of Regenerative Medicine" outlines the ethical questions raised by the effort under way in all medical fields to regenerate human tissue as a means of treating degenerative diseases. "In the future, regenerative medicine may therefore touch most of our lives," writes Leen Trommelmans, PhD, who teaches ethics and philosophy to nursing, midwifery, and facility management students at KaHO Sint-Lieven in Belgium and does research at the Centre for Biomedical Ethics and Law at Catholic University in Leuven. So far, bioethics has focused on the use of stem cells in regenerative medicine, but other questions remain unexamined, including the rights of donors whose cells are used, the availability of costly regenerative treatments to those who cannot afford them, and the prospects of using regenerative medicine for enhancement, such as the prevention of aging. The twisting, ladder-like form of the DNA molecule — the architectural floor plan of life — contains a universe of information critical to human health. Enormous effort has been invested in deciphering the genetic code, including, most famously, the Human Genome Project. Nevertheless, the process of reading some three-billion nucleotide "letters" to reveal an individual's full genome remains a costly and complex undertaking. Biodesign Institute at Arizona State University. Lindsay is an ASU Regents' Professor and Carson Presidential Chair of Physics and Chemistry as well as director of the Biodesign Institute's Center for Single Molecule Biophysics. 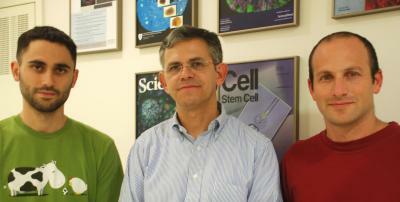 His group's research appears in the current issue of the journal Nature Nanotechnology. Lindsay's technique for reading the DNA code relies on a fundamental property of matter known as quantum tunnelling, which operates at the subatomic scale. According to quantum theory, elementary particles like electrons can do some very strange and counter-intuitive things, in defiance of classical laws of physics. Such sub-atomic, quantum entities possess both a particle and a wave-like nature. Part of the consequence of this is that an electron has some probability of moving from one side of a barrier to the other, regardless of the height or width of such a barrier. Remarkably, an electron can accomplish this feat, even when the potential energy of the barrier exceeds the kinetic energy of the particle. Such behaviour is known as quantum tunnelling, and the flow of electrons is a tunnelling current. Tunnelling is confined to small distances — so small that a tunnel junction should be able to read one DNA base (there are four of them in the genetic code, A, T, C and G) at a time without interference from flanking bases. But the same sensitivity to distance means that vibrations of the DNA, or intervening water molecules, ruin the tunnelling signal. So the Lindsay group has developed "recognition molecules" that "grab hold" of each base in turn, clutching the base against the electrodes that read out the signal. They call this new method "recognition tunnelling." The current paper in Nature Nanotechnology shows that single bases inside a DNA chain can indeed be read with tunnelling, without interference from neighbouring bases. Each base generates a distinct electronic signal, current spikes of a particular size and frequency that serve to identify each base. Surprisingly, the technique even recognizes a small chemical change that nature sometimes uses to fine-tune the expression of genes, the so called "epigenetic" code. While an individual's genetic code is the same in every cell, the epigenetic code is tissue and cell specific and unlike the genome itself, the epigenome can respond to environmental changes during an individual's life. To read longer lengths of DNA, Lindsay's group is working to couple the tunnelling readout to a nanopore — a tiny hole through which DNA is dragged, one base at a time, by an electric field. The paper in Nature Nanotechnology has something to say about this problem too. "It has always been believed that the problem with passing DNA through a nanopore is that it flies through so quickly that there is no time to read the sequence" Lindsay says. Surprisingly, the tunnelling signals reported in the Nature Nanotechnology paper last for a long time — nearly a second per base read. To test this result, Lindsay teamed with a colleague, Robert Ros, to measure how hard one has to pull to break the complex of a DNA base plus the recognition molecules. They did this with an atomic force microscope. "These measurements confirmed the long lifetime of the complex, and also showed that the reading time could be speeded up at will by the application of a small additional pulling force" says Ros. "Thus the stage is set for combining tunnelling reads with a device that passes DNA through a nanopore," says Lindsay. Sequencing through recognition tunnelling, if proven successful for whole genome reading, could represent a substantial savings in cost and hopefully, in time as well. Existing methods of DNA sequencing typically rely on cutting the full molecule into thousands of component bits, snipping apart the ladder of complementary bases and reading these fragments. Later, the pieces must be meticulously re-assembled, with the aid of massive computing power. "Direct readout of the epigenetic code holds the key to understanding why cells in different tissues are different, despite having the same genome" Lindsay adds, a reference to the new ability to read epigenetic modifications with tunnelling. Lindsay stresses much work remains to be done before the application of sequencing by recognition can become a clinical reality. "Right now, we can only read two or three bases as the tunnelling probe drifts over them, and some bases are more accurately identified than others," he says. However, the group expects this to improve as future generations of recognition molecules are synthesized. "The basic physics is now demonstrated" Lindsay says, adding "perhaps it will soon be possible to incorporate these principles into mass produced computer chips." The day of the "genome on a lap-top" might be coming sooner than previously thought possible. ﻿﻿"Mental disease and particularly autism still carry the stigma of bad parenting," says lead author Alysson Muotri, Ph.D., an assistant professor in the Department of Molecular and Cellular Medicine at the University of California, San Diego School of Medicine. "We show very clearly that autism is a biological disease that is caused by a developmental defect directly affecting brain cells." 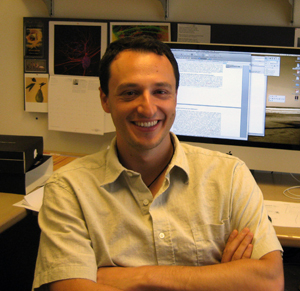 "This work is important because it puts us in a translational mode," said Muotri. "It helps expand and deepen our understanding of autism, from behavioural disorder to developmental brain disorder. We can now look for and test drugs and therapies and see what happens at a cellular and molecular level. That's something we've never been able to do with human autistic neurons before." Rett syndrome is a neurological disorder and the most physically disabling of the autism spectrum disorders. Primarily affecting girls, the symptoms of Rett syndrome often become apparent just after they have learned to walk and say a few words. Affected newborns display normal development until six months to 1½ years of age, "after which behavioural symptoms begin to emerge," Muotri said. "Progressively, motor functions become impaired. There may be hypotonia or low muscle tone, seizures, diminished social skills and other autistic behaviours." Then, the seemingly normal development slows down and eventually the infants regress, loosing speech and motor skills, developing stereotypical movements and autistic characteristics. Simon, Salk Institute for Biological Studies. In the past, scientists had been limited to study the brains of people with autistic spectrum disorders via imaging technologies or post mortem brain tissues. The new research goes further. 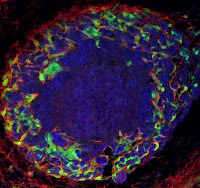 Muotri and colleagues at the Salk Institute for Biological Studies and Pennsylvania State University developed a culture system using induced pluripotent stem cells (iPSCs) derived from RTT patient's skin fibroblasts – cells that typically give rise to connective tissues. Instead, the human RTT-iPSCs were reprogrammed to generate functional neurons that, compared to normal control cells, featured fewer synapses, reduced spine density, smaller soma size, altered calcium signalling and electrophysiological defects – all indications that the deleterious alterations to human RTT neurons begin early in development. "It is quite amazing that we can recapitulate a psychiatric disease in a Petri Dish," says lead author Fred Gage, Ph.D., a professor in the Salk's Laboratory of Genetics and holder of the Vi and John Adler Chair for Research on Age-Related Neurodegenerative Diseases. "Being able to study Rett neurons in a dish allows us to identify subtle alterations in the functionality of the neuronal circuitry that we never had access to before." signal receivers, are shown in green. It was only after she had patiently coaxed the iPS cells to develop into fully functioning neurons — a process that can take up to several months — that she was able to discern differences between the two. Neurons carrying the MeCP2 mutations had smaller cell bodies, a reduced number of synapses and dendritic spines, specialized structures that enable cell-cell communication, as well as electrophysical defects, indicating that things start to go wrong early in development. 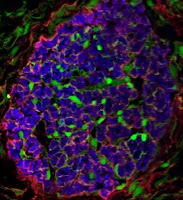 Since insulin-like growth factor 1 (IGF-1) — a hormone which, among other things, has a role in regulating cell growth and neuronal development — was able to reverse some of the symptoms of Rett syndrome in a mouse model of disease, the Salk researchers tested whether IGF-1 could restore proper function to human Rett neurons grown in culture. "IGF-1 treatment increased the number of synapses and spines reverting the neuronal phenotype closer to normal," says Gage. "This suggests that the autistic phenotype is not permanent and could be, at least partially, reversible." Muotri said IGF1 appeared to rescue some RTT-iPSCs, reverting some neuronal defects, though exactly how IGF1 works remains unknown and requires further investigation. "This suggests, however, that synaptic deficiencies in Rett syndrome, and likely other autism spectrum disorders, may not be permanent," Muotri said. "We now know that we can use disease-specific iPS cells to recreate mental disorders and start looking for new drugs based on measurable molecular defects." Autism spectrum disorder (ASD) is a range of complex, varying neurodevelopment disorders characterized by social impairments, communication difficulties and restricted, repetitive and stereotyped patterns of behavior. It is not known what causes ASD. Scientists have identified a number of genes associated with the disorder, but environmental factors likely play a role too. Autistic disorder (sometimes called autism or classical ASD) is the most severe form. Milder conditions include Asperger syndrome, Rett syndrome, Childhood Disintegrative Disorder and Pervasive Developmental Disorder Not Otherwise Specified (usually referred to as PDD-NOS). The Centers for Disease Control and Prevention reports the prevalence of autism to be approximately 1 in every 110 births in the United States. An estimated 1.5 million Americans live with the effects of ASD, which occurs in all ethnic and socioeconomic groups and affects every age group, though males are four times more likely to have ASD than females. ﻿After four years of conducting intensive calculations in the supercomputer MareNostrum at the Barcelona Supercomputing Center, scientists headed by Modesto Orozco at the Institute for Research in Biomedicine (IRB Barcelona) have presented the world’s largest data base on protein motions. Called MoDEL, this new database holds more than 1,700 proteins and is partially accessible through Internet to researchers worldwide. MoDEL has been developed to study the basic biology of proteins and to accelerate and facilitate the design of new pharmaceutical agents. “Nowadays we design drugs as if the proteins against which they are to act were static and this goes a long way to explain failures in the development of new drug therapies because this is not a true scenario. With MoDEL this problem is solved because it offers the user from 10,000 to 100,000 photos per protein, and these confer movement to these structures and allow a more accurate design”, says Orozco, head of the “Molecular modelling and bioinformatics” group at IRB Barcelona, director of the Life Sciences Programme of the Barcelona Supercomputing Center and full professor at the University of Barcelona. According to this researcher, several pharmaceutical companies are already using the MoDEL strategy to develop the first drugs against cancer and inflammatory diseases, which could become available this year. 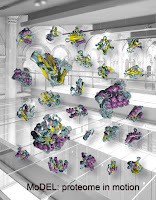 The scientists that develop MoDEL work from an international catalogue of static protein structures (approximately 40,000) called the Protein Data Bank (PDB). “1,700 videos of proteins from the 40,000 that make up the PDB may appear to be a small proportion, but many of the structures in the PDB are very similar. Therefore, following internationally established similarity criteria, we are representing about 40% of the proteins with a known structure”. But for Modesto Orozco the most relevant point is that MoDEL is now covering more than 30% of human proteins structures that are of pharmacological interest, that is to say, those that are potential targets of a new drug. “We obtained this datum through a very strict test so we consider that we are in fact covering more. However, MoDEL will continue to grow and this can be achieved more quickly because the system is well established”. According to the researchers, the main objective is to focus on relevant proteins in human diseases and in a period of between 2 and 3 years cover 80% of pharmaceutical targets. In order to undertake the MoDEL project, Orozco and his group are supported by resources provided by IRB Barcelona, the Barcelona SuperComputing Center, the Marcelino Botín Foundation, the Fundación Genoma España, the National Bioinformatics Institute and several European projects. Growing human embryonic stem cells in the lab is no small feat. Culturing the finicky, shape-shifting cells is labour intensive and, in some ways, more art than exact science. Writing this week (Nov. 14) in the journal Nature Methods, a team led by Laura Kiessling, a UW-Madison professor of chemistry, unveiled an inexpensive system that takes much of the guesswork out of culturing the all-purpose cells. "It's a technology that anyone can use," says Kiessling. At present, human embryonic stem cells are cultured mostly for use in research settings. And while culture systems have improved over time, scientists still use surfaces that contain mouse cells or mouse proteins to grow batches of human cells, whether embryonic or induced stem cells. Doing so increases the chances of contamination by animal pathogens such as viruses, a serious concern for cells that might be used in therapy. The new culture system utilizes a synthetic, chemically made substrate of protein fragments, peptides, which have an affinity for binding with stem cells. Used in combination with a defined growth medium, the system devised by the Wisconsin team can culture cells in their undifferentiated states for up to three months and possibly longer. The system, according to the new report, also works for induced pluripotent stem cells, the adult cells genetically reprogrammed to behave like embryonic stem cells. Cells maintained in the system, Kiessling notes, were subsequently tested to see if they could differentiate into desired cell types, and performed just as well as cells grown in less defined, commercially available cell culture systems. Kiessling notes that the first clinical trials involving human embryonic stem cells are underway and that as more tests in human patients are initiated, confidence in the safety of the cells will be paramount. "The disadvantages of the culture systems commonly used now are that they are undefined – you don't really know what your cells are in contact with – and there is no uniformity, which means there is batch-to-batch variability," Kiessling explains. "The system we've developed is fully defined and inexpensive." A University of Colorado at Boulder-led study shows that specific types of stem cells transplanted into the leg muscles of mice prevented the loss of muscle function and mass that normally occurs with aging, a finding with potential uses in treating humans with chronic, degenerative muscle diseases. The experiments showed that when young host mice with limb muscle injuries were injected with muscle stem cells from young donor mice, the cells not only repaired the injury within days, they caused the treated muscle to double in mass and sustain itself through the lifetime of the transplanted mice. "This was a very exciting and unexpected result," said Professor Bradley Olwin of CU-Boulder's molecular, cellular and developmental biology department, the study's corresponding author. Muscle stem cells are found within populations of "satellite" cells located between muscle fibres and surrounding connective tissue and are responsible for the repair and maintenance of skeletal muscles, said Olwin. The researchers transplanted between 10 and 50 stem cells along with attached myofibers – which are individual skeletal muscle cells – from the donor mice into the host mice. "We found that the transplanted stem cells are permanently altered and reduce the aging of the transplanted muscle, maintaining strength and mass," said Olwin. A paper on the subject was published in the Nov. 10 issue of Science Translational Medicine. Co-authors on the study included former CU-Boulder postdoctoral fellow John K. Hall, now at the University of Washington Medical School in Seattle, as well as Glen Banks and Jeffrey Chamberlain of the University of Washington Medical School. Olwin said the new findings, while intriguing, are only the first in discovering how such research might someday be applicable to human health. "With further research we may one day be able to greatly resist the loss of muscle mass, size and strength in humans that accompanies aging, as well as chronic degenerative diseases like muscular dystrophy." Stem cells are distinguished by their ability to renew themselves through cell division and differentiate into specialized cell types. In healthy skeletal muscle tissue, the population of satellite stem cells is constantly maintained, said Olwin. "In this study, the hallmarks we see with the aging of muscles just weren't occurring," said Olwin. "The environment that the stem cells are injected into is very important, because when it tells the cells there is an injury, they respond in a unique way," he said. "We don't yet know why the cells we transplanted are not responding to the environment around them in the way that the cells that are already there respond. It's fascinating, and something we need to understand." At the onset of the experiments, the research team thought the increase in muscle mass of the transplanted mice with injured legs would dissipate within a few months. Instead, the cells underwent a 50 percent increase in mass and a 170 percent increase in size and remained elevated through the lifetime of the mice – roughly two years, said Olwin. In the experiments, stem cells and myofibers were removed from three-month-old mice, briefly cultured and then transplanted into three-month-old mice that had temporarily induced leg muscle injuries produced by barium chloride injections. "When the muscles were examined two years later, we found the procedure permanently changed the transplanted cells, making them resistant to the aging process in the muscle," he said. "This suggests a tremendous expansion of those stem cells after transplantation," Olwin said. Fortunately, the research team saw no increase in tumours in the transplanted mice despite the rapid, increased growth and production of muscle stem cells. As part of the research effort, the team used green fluorescent protein – which glows under ultraviolet light – to flag donor cells in the injected mice. The experiment indicated many of the transplanted cells were repeatedly fused to myofibers, and that there was a large increase in the number of satellite cells in the host mice. "It is our hope that we can someday identify small molecules or combinations of small molecules that could be applied to endogenous muscle stem cells of humans to mimic the behaviour of transplanted cells," Olwin said. "This would remove the need for cell transplants altogether, reducing the risk and complexity of treatments." But Olwin said it is important to remember that the team did not transplant young cells into old muscles, but rather transplanted young cells into young muscles. The research has implications for a number of human diseases, Olwin said. In muscular dystrophy, for example, there is a loss of a protein called dystrophin that causes the muscle to literally tear itself apart and cannot be repaired without cell-based intervention. Although injected cells will repair the muscle fibres, maintaining the muscle fibres requires additional cell injections, he said. "Progressive muscle loss occurs in a number of neuromuscular diseases and in muscular dystrophies," he said. "Augmenting a patient's muscle regenerative process could have a significant impact on aging and diseases, improving the quality of life and possibly improving mobility." Olwin said the research team is beginning experiments to see if transplanting muscle stem cells from humans or large animals into mice will have the same effects as those observed in the recent mouse experiments. "If those experiments produce positive results, it would suggest that transplanting human muscle stem cells is feasible," he said. Hormones, growth factors and several proteins ensure that development occurs in the right way, at the right time. The components that cause breast development in mammals, for example, were thought to be largely known. However, as a team of scientists from Göttingen, Frankfurt and Hanover have now discovered, in the case of breast development, hormones and proteins do not account for the full story. The scientists have shown that tiny ribonucleic acid molecules play a key role in this process. The mammary glands of mice lacking the gene for the microRNAs 212 and 132 failed to grow at puberty. The scientists have demonstrated for the first time in an animal model that small ribonucleic acid molecules, so-called microRNAs, also fulfil an important function in organ development. "This came as a surprise to us," says project leader Kamal Chowdhury from the Max Planck Institute for Biophysical Chemistry in Göttingen. "The mice used in our experiments had all of the hormones, growth factors and proteins that ensure normal breast development. But the absence of the microRNAs miR-212 and miR-132 resulted in the complete failure of duct development in the mammary glands of mice." Mammary gland tissue of milk-producing mice with (left) and without (right) miR-212/132: the consequences of the lack of the ribonucleic acid molecules are clear to see. The milk ducts (dark red) did not grow in the tissue without the microRNAs. Credit: Image: Max Planck Institute for Biophysical Chemistry. It is well known that microRNAs perform very important regulatory functions inside living cells. Although they do not code for proteins, they are responsible for the fine-tuning of the production of certain proteins and intervene extensively in metabolic processes. The question is however: how does this activity shape the morphology of the whole organism? "Using various experiments, we were able to demonstrate that this RNA family plays a key role in mammary gland development and we could locate where these molecules presumably intervene on a regulatory basis," explains Chowdhury. The mammary gland, which is also known as the milk gland, consists of the milk ducts and the surrounding connective tissue, which has a supportive and regulatory function. The connective tissue also appears to be the location where miR-212 and miR-132 are produced and intervene in the developmental process. Chowdhury and his colleague Ahmet Ucar were able to demonstrate with their experiments that this is the only place where the genes for these ribonucleic acid molecules are "switched on" in the breast tissue. 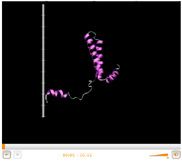 According to the researcher's model, the microRNA molecules appear to control the production of a protein called MMP-9. "The microRNAs can down-regulate the production of MMP-9, like a dimmer switch," explains Ucar. If the microRNAs are missing, more MMP-9 proteins are produced and they accumulate near the milk ducts. They appear to activate a signalling pathway there, which prevents the normal growth of the milk ducts in the glandular tissue. "These tiny RNA molecules carry out their regulatory function by influencing the communication between the two tissues of the mammary gland," says Ucar. Other experiments now need to be carried out to examine whether these microRNAs also regulate breast development in humans. At the moment, the scientists can only speculate about what happens when the microRNAs do not function correctly. "Whether such malfunctions can lead to the formation of tumours, for example, is something that needs to be examined in further studies," says Chowdhury. The discovery, published in the prestigious science journal Nature today, could mean that in the foreseeable future people needing blood for surgery, cancer treatment or treatment of other blood conditions like anaemia will be able to have blood created from a patch of their own skin to provide transfusions. Clinical trials could begin as soon as 2012. “We have shown this works using human skin. We know how it works and believe we can even improve on the process,” said Bhatia. This research was funded by the Canadian Institutes of Health Research, the Canadian Cancer Society Research Institute, the Stem Cell Network and the Ontario Ministry of Research and Innovation. 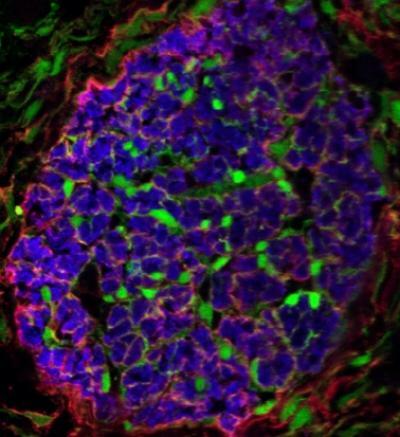 “The Bhatia research effort is building on significant findings in recent years, which have shown that human skin cells can be reprogrammed into pluripotent cells that have the potential to become all cell types."